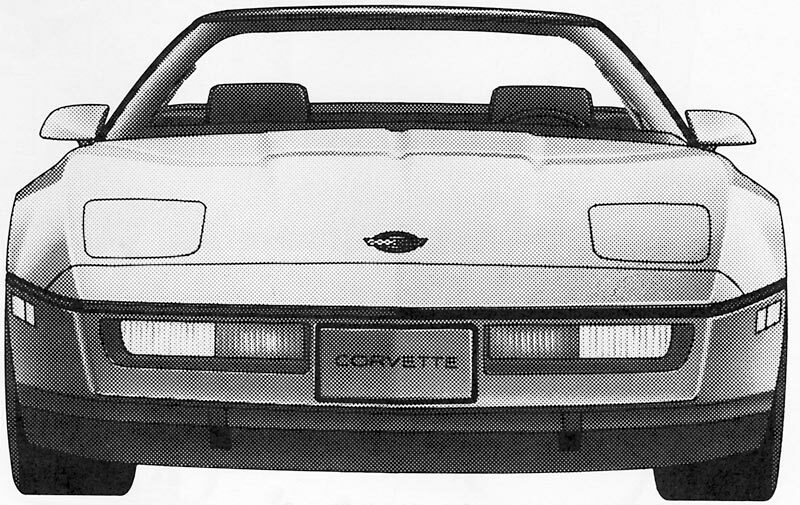 The T-tops of the C3 generation were replaced by a full Targa roof for the C4. This presented a challenge to the chassis engineers as the Targa configuration has a inherent chassis rigidity disadvantage. Owners did get a more open feeling with the roof removed, and as with the T-tops, they also had the security, safety and weather sealing advantages of a coupe. When not in use the top was stowed in the luggage area and did cut down on available storage space. A high door sill was designed in to help compensate for the loss of structural strength inherent with the Targa roof. 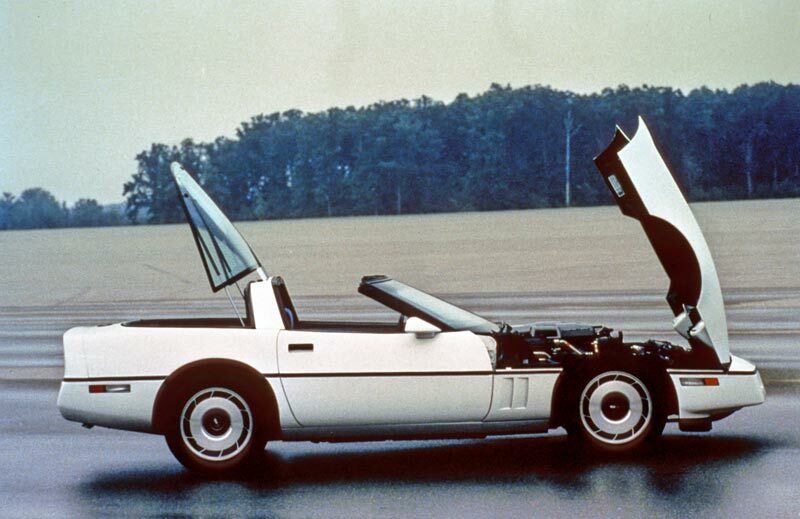 The very useful hatchback opening that was first seen on the 1982 Collector Edition Corvette became a part of all C4 Corvettes. Engine access was improved in 1984 with a "clamshell" hood design that also allowed for suspension and wheel access. 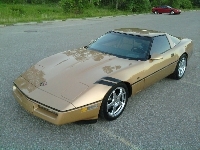 It was similar to the setup found on the Corvette's sports car brethren such as the Jaguar E-Type and the Ferrari Boxer. The 1984 engine was essentially the same as installed in the 1982 'vette. 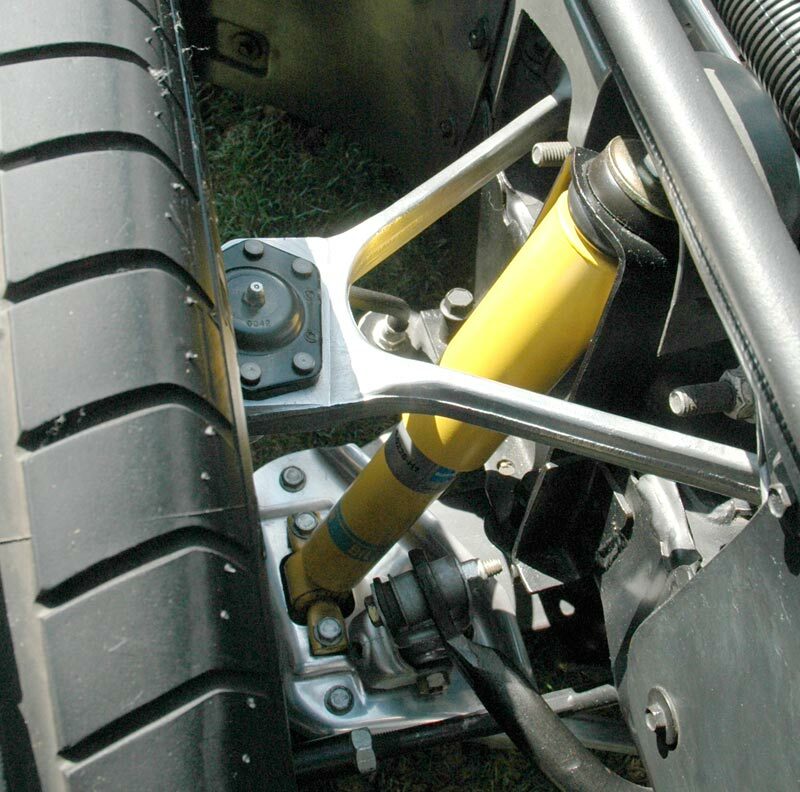 An epoxy coated magnesium air cleaner cover was designed for a similar look as the suspension pieces which were also visible when the hood was opened. 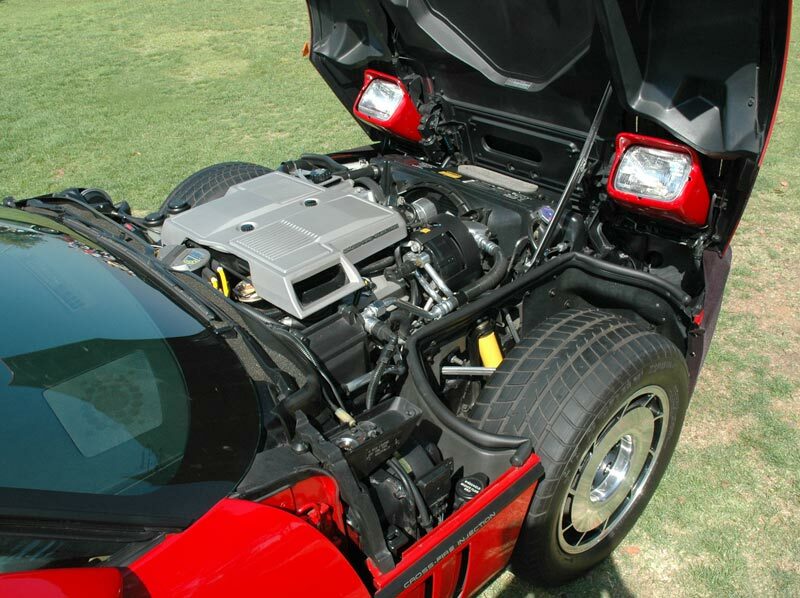 Also carried over from the 1982 engine was the Cross-Fire Injection system, as proudly noted on the air cleaner cover (above) and body side molding (below). 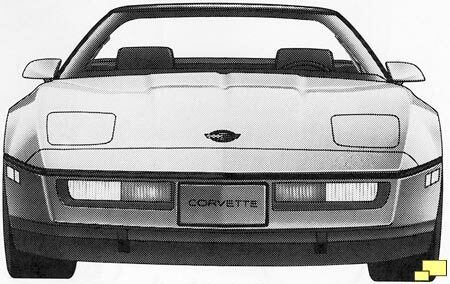 Initially all C4 Corvettes came with an automatic transmission, the same four speed that was first introduced in 1982. Later in the production run (January 1984) a Borg-Warner T-10 four speed manual transmission was available. The options list gave buyers their choice of transmission with no extra cost for either. The manual featured an overdrive unit between the transmission and the driveshaft and would engage in gears two, three and four. 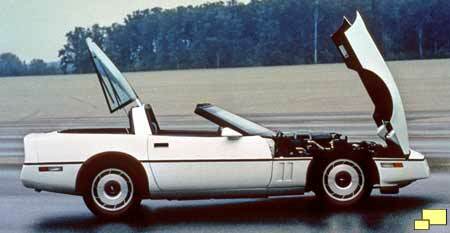 In theory at least this gave the Corvette a seven speed transmission. The overdrive was set up to to engage during normal street driving but with spirited driving only the four normal gears were employed. A console mounted switch could also turn the overdrive off. The two personalities engineered into the C4 had a purpose. CAFE (Corporate Average Fuel Economy) EPA rules were in effect at the time as was a gas guzzler tax. Cars that did not get an EPA fuel economy rating of 16.0 mpg were subject to the extra cost as well as a social stigma. This was another area where Corvette engineers took a stand. By engineering the car to behave differently when driven mildly (which is how the EPA tested the cars) mpg figures just beyond gas guzzler ratings levels were possible. It is worth noting that until the C6 ZR1 and the C7 Z06, no Corvette had been subject to the gas guzzler tax, a point of pride for its engineering staff.